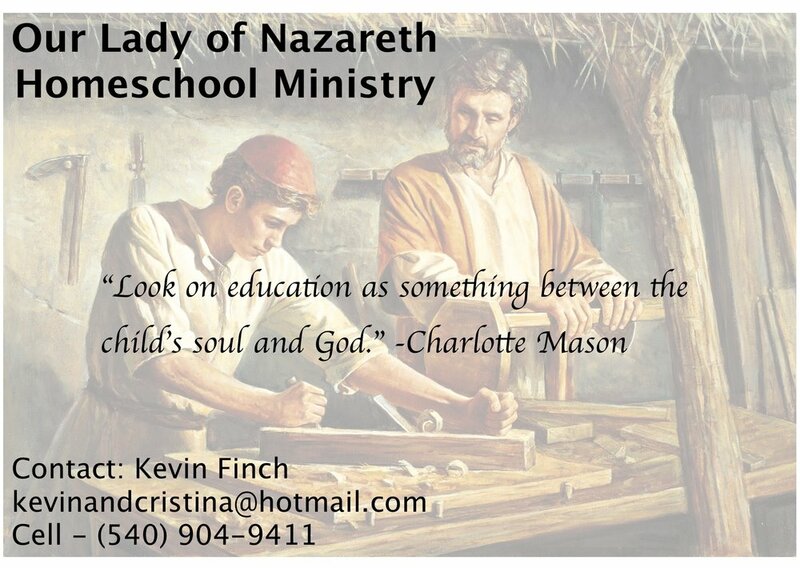 The purpose of the OLN Homeschool Ministry is to provide a supportive and nourishing environment for Catholic families home educating their children. As well, we are a source of information and prayer for families discerning God’s call to educate their children at home. We plan family gatherings to celebrate the homeschool journey and to build a community that supports one another along this special path. If you are considering homeschooling or are a current homeschooling family, please contact Kevin Finch (kevinandcristina@hotmail.com or 540-904-9411).